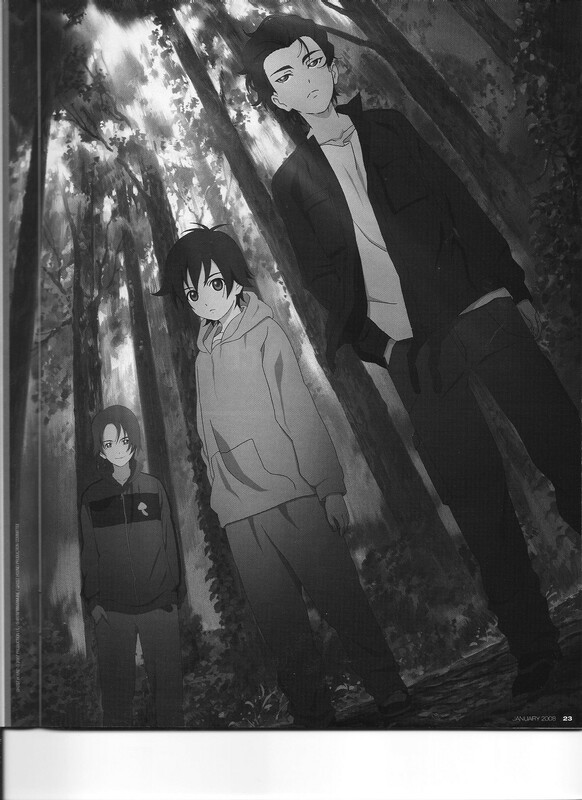 A short article on Ghost Hound including quotes from writer Chiaki Konaka, who talks about working with the late, great Ryutaro Nakamura and avoiding getting bogged down in terminology. 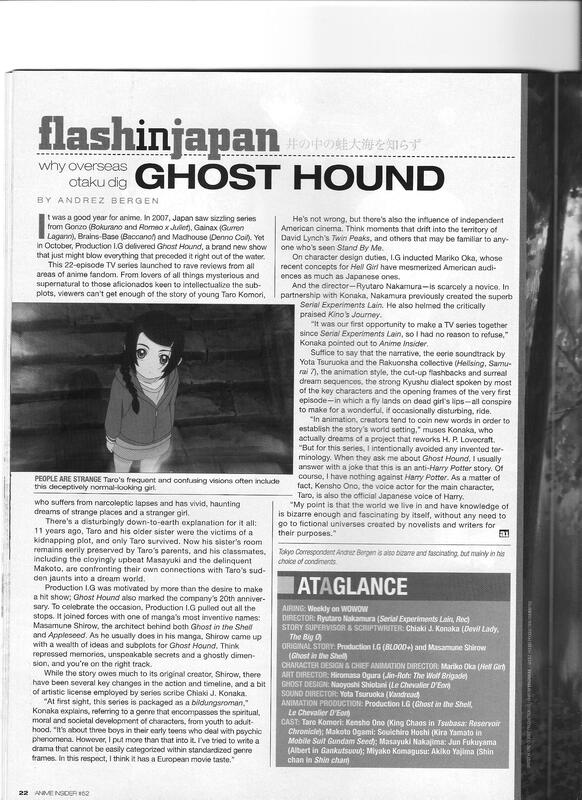 This entry was posted in Old Magazine Articles and tagged Anime, Borderline Plagarism for the Freedom of Information, Chiaki Konaka, Ghost Hound by torisunanohokori. Bookmark the permalink.